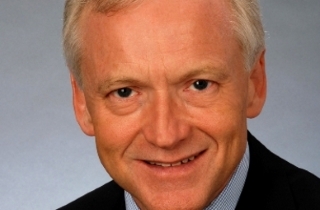 However, barely halfway through his leave of absence, the 68-year-old supernumerary judge abruptly resigned as interim law dean, and returned to his judicial duties, after he learned from the CJC that the reason the judicial council initiated proceedings against him, at its own behest, was because it considered that he had stepped into media attention — and legal and public controversy — by agreeing to temporarily take on the deanship as the fledgling law school sought a replacement for its ex-dean, Angelique EagleWoman, who had told media she quit due to her experience of racial discrimination from the university’s administration. “It is my opinion that the situation is exacerbated by [Justice Smith’s] erroneous assessment of the risks that will continue to exist at an institution where litigation would surely come before the court of which he is a member,” Associate Chief Justice Pidgeon explained, in sending the matter on to a review panel, composed of four chief justices and one non-council member, who will decide whether the facts are serious enough to warrant the judge’s removal and thus require a formal CJC inquiry. In response, Justice Smith, who resumed his judicial duties Sept. 17, moved this week in Federal Court to stay the referral to the CJC review panel, pending the Federal Court’s determination of his application to judicially review Associate Chief Justice Pidgeon’s decision to send the matter on for review. Justice Smith has also requested judicial review of Associate Chief Justice Pidgeon’s refusal to reverse his decision to send the matter to the review panel, after Justice Smith indicated he was resigning from the interim deanship after learning of the council’s specific concerns in the matter. 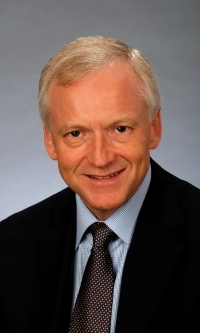 “He cut his term short in order to try to allay the concerns of the CJC and to return to judicial duties,” explained Brian Gover of Toronto’s Stockwoods, who represents Justice Smith in the judicial review proceedings. 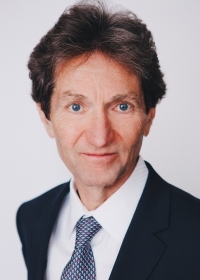 “He took on the role of interim dean (academic) as a matter of public service and ... in the circumstances when the Canadian Judicial Council was continuing its review and had constituted a review panel, there was good reason for him to step away from the role of interim dean and to return to his judicial duties,” Gover told The Lawyer’s Daily. 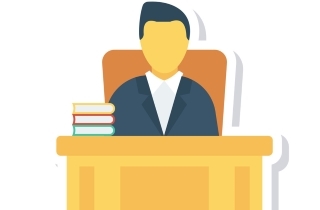 Gover added that it is, moreover, “absolutely not” a situation in which the public would consider it has lost confidence in the ability of Justice Smith, a respected and experienced trial judge of 17 years, to render justice. 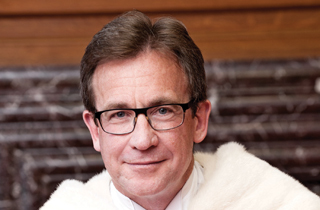 “He got permission from the chief justice [and] the minister of Justice; there were conditions suggested by the chief justice’s office that he scrupulously adhered to in order to avoid anything that could result in litigation; and all of this plays out against the backdrop of a long history of Canadian judges being involved in law schools,” Gover said. 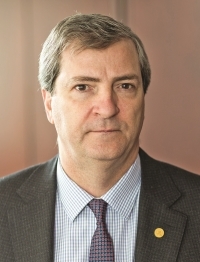 Gavin MacKenzie, an expert on legal ethics and professional responsibility, told The Lawyer’s Daily that the issue in the case involves two arguable positions about the propriety of a judge accepting an unpaid position in which he is likely to be required to take a stand on an active controversy. MacKenzie did not take issue with the CJC’s decision not to initiate discipline proceedings against Chief Justice Smith, who is also a member of the council. Osgoode Hall law professor Lorne Sossin, an authority on judicial conduct, said the issues in the case are nuanced. In his reasons for referring the matter to a CJC review panel, Associate Chief Justice Pidgeon said he considered the relevant question to be whether Justice Smith properly took a leave of absence in light of the provisions of the Judges Act and his ethical obligations as a judge. 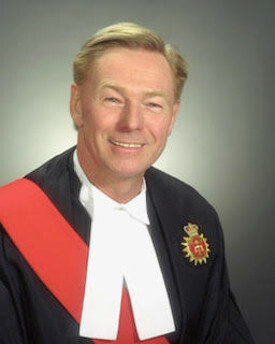 Chief Justice Smith granted the special leave, only after seeking and taking legal advice from a senior independent counsel and making the leave subject to 11 conditions, including that the judge be particularly sensitive in making any public statements and not be involved in any fundraising. The chief justice indicated she was concerned to assist a new law school, one of whose main purposes was to provide training to Indigenous lawyers and to teach Indigenous law.